Kim Collier, of Collier Concepts, will guide you and your business through to success. As your expert collaborator, Kim's extensive global experience in spas, hospitality, education, product development and holistic wellness supports venues and vendors deliver effective solutions in a timely manner. $4.2 global wellness economy as of 2017 (source: Global Wellness Institute) & $31.6 billion worldwide cannabis market by 2022 (source: Fortune Magazine). Consulting: vetting green & sustainable CBD companies in all product categories, as they relate to the wellness industry. This option for spas and resorts seeking CBD integration, as well as vendor partners seeking spa, wellness, hospitality channel opportunities. Education: unique CBD experiential education events with focus on raw materials (not branded) for public & private gatherings, science based “CBD, Spas & Wellness” classes, work place wellness programs, and more. Programs: choose from CBD+Me, CBD+Tea & CBD Lounge Events. Available in individual modules or full day programs on location. CBD Brand Collective: upon completion of vetting, lab testing & consultation, participate in 'CBD Brand Collective’ for future forward business development. Launching August 2019! 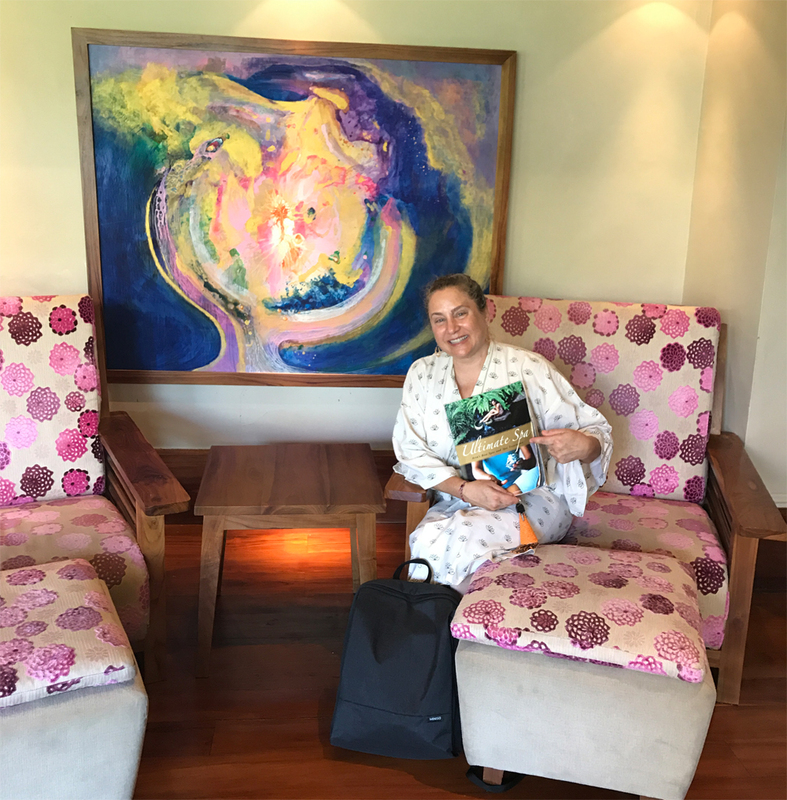 Pictured above: In 2018, Kim returned to Four Seasons Resorts Jimbaran & Sayan, Bali, Indonesia, where the Colliers began their work in South East Asia in 1990’s. Honored to be on the pre-opening spa consulting teams for Four Seasons Resorts in Asia, the first in hospitality sector to offer herbal ‘jamu’ plant based treatments & beverages for traditional spa experiences honoring plant based healing & cultural wisdom.